I joined CSLH at the beginning of the year, and the Study Visit caught my eye in the January newsletter. As a ‘Lancashire lass’ familiar with at least the Whalley area from childhood, how could I not go? On the first day, we met at Ribchester; first impressions of a CSLH trip were good – detailed directions, a convenient place to meet, a full information pack on arrival – all very efficient. We walked through the village which overlies the Roman cavalry fort and vicus of Bremetannacum, located near the junction of five roads and the crossing (probably a ford) of the River Ribble. Owing to the shifting course of the river, the south-east quarter of the fort has been lost, but the outer bank/ditch, granaries and a bathhouse can be visited. There is also a small but very informative museum, with (sadly) a copy of the cavalry parade helmet which was found in Ribchester the 19th century. This extremely refined piece of bronze work is now housed in the British Museum. We then had time to walk round on our own, visit the parish church of St. Wilfrid which is next to the granaries, have lunch and reach the next rendezvous point, the adjacent hamlet of Stydd. We began at the Roman Catholic ‘barn church’ of St. Peter and St. Paul, built in 1789 - a very early date, since the first Catholic Relief Act was passed in 1778. It is also now an example of the type of insensitive building refurbishment carried out around 20 years ago! However, the history of the church and hamlet were far more rewarding and evidence that Lancashire was a stronghold of Catholic recusancy from the 17th century onwards. A talk by local and Catholic historian, Margaret Pannikar, added greatly to our understanding. We then walked the short distance from the Catholic church to what is now the Anglican church in Stydd, St. Saviour’s. This small stone building is all that remains of a community of Knights Hospitallers dating from the 12th century. At the Dissolution, it and all their other property around Stydd including the manor, was granted to Sir Thomas Holt of Grizlehurst. 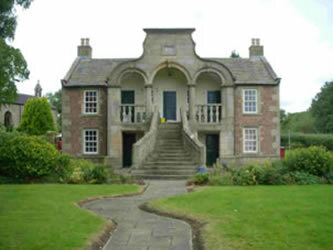 The Holt family then sold the manor to three prominent Catholic families in 1686, when Catholicism was officially proscribed but widely tolerated in Lancashire. ‘Sharing’ the church appears to have continued until the barn church was built. On our way to St. Saviour’s we passed the delightfully quirky almshouses built in 1726-8 by the owner of Stydd Manor for five poor Catholic women. Then on to Whalley Abbey – what a stunning place to stay, and especially appropriate for the CSLH! We were in the Elizabethan and Victorian house looking out over the extensive ruins of a large monastic community, set in gardens on the banks of the Ribble – completely charming - plus good rooms and food. 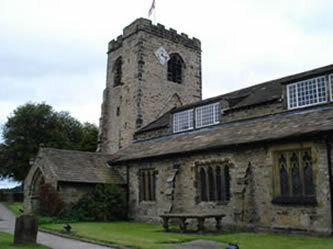 The monks moved from Stanlow to Whalley in 1296 and were there for some 300 years until the Dissolution in 1537. A little disappointing that we didn’t have more time to study Whalley itself - ‘the clearing in the woodland by the isolated round hill’ – which is so apparent. But perhaps that’s a good reason to have another study visit to the area and another stay at the Abbey?! Day One was rounded off by a tour of the adjacent parish church of St. Mary’s, drinks, dinner, after which Diane Johnson talked about the history of the Abbey and Mike Headon spoke about the origins of the local place names. Day Two saw us heading east to Wycoller between Colne and Haworth. Parking outside the village and walking in allowed us to see more and perhaps better appreciate its ‘sense of place’. Wycoller Beck runs north-westwards down a valley which is narrow and sheltered enough to support trees, despite its position on the edge of the moors dividing Lancashire and Yorkshire. 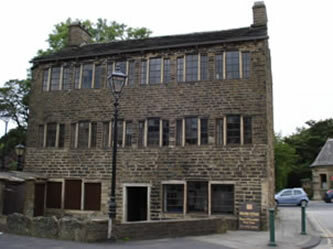 (Evidence that the Bronte sisters walked over regularly is found in references to local landmarks in their writing). The vaccary walls were particularly impressive, both the size of the individual stone slabs and their extent, a number of slab rows stretching the full width of the valley. They are believed to date from the 13th century when cattle farming took over from use of the area as a deer park - part of the Forest of Trawden. The vaccary walls are an example of ‘single’ walling, and they would have guided the cows from the lower winter pastures, up to the summer grazing on the higher ground. Wycoller was a sheep farming and weaving community from the 15th century, but the aisled barn indicates a change for some in the valley to cereal growing probably between 1570 and 1640, when high cereal prices were an incentive to plough poorer land. 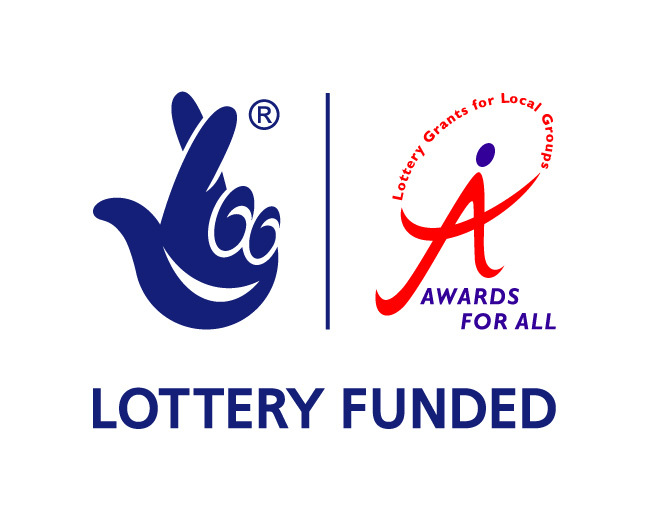 As one of the finest aisled barns in Lancashire, it is Grade-II listed and now forms part of the visitor centre run by Lancashire County Council. The ruined Wycoller Hall is next to the barn; the current hall dates from the late 16th century, but was extensively re-modelled in the 1770s. The seven bridges across the Beck show how much traffic once passed through what is now a secluded back-water. 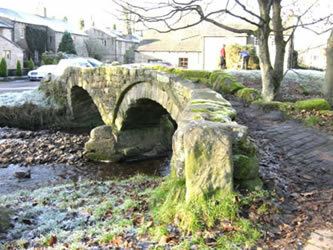 Three bridges are particularly old and unusual – a slumped, twin-arched packhorse bridge; a clapper bridge with two stone slabs; and uniquely, the clam bridge, a single stone. In the 20th century, the entire village passed into the ownership of the local Water Board, with the intention that the valley would be flooded to form a reservoir. 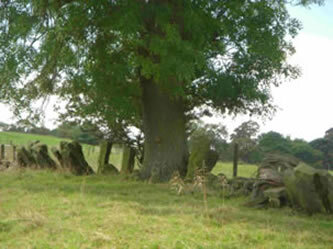 A ‘Friends’ group was formed, and eventually the threat receded; the County Council bought the land in 1973, declared the village a Conservation Area and the surrounding land a country park. We re-traced our steps westwards to Barrowford, and spent the afternoon at the Pendle Heritage Centre, with time to explore the village itself if we wished. There was an overwhelming amount of information packed into the Heritage Centre, as well as the recreation of an 18th century walled garden, the same era as half of the farmhouse which forms the basis of the museum. The area I found most revealing was the deliberately ‘unrestored’ section of the house, a slice from cellar to roof which showed the layers and ways in which the building had been changed over the years, from its origins in the 15th century. Here it was possible to see layers of history actually peeled back. As if this wasn’t enough, at the same site there was also a room of interpretation about the Lancashire Witches (perhaps a little too interpreted! ), a cruck frame barn originally from Towneley Hall, two shops with lots of high quality goodies, and an arts centre where we had an ample afternoon tea. A walk through the village was necessary to counter-balance this. Barrowford is one of those busy valley settlements, which have too much traffic to allow one to see anything when driving through; as well as mills and weavers' cottages, a fine chapel and two 16th century houses would have been missed. On returning to Whalley Abbey, drinks and dinner were followed by a talk in which Ray Jones introduced the visits for the following day. Day Three brought home the passage of time; the birth and death of an era. Our first visit took us to Goodshaw Old Baptist Chapel, stoutly built but within it reused old timber and hand-me-down Anglican fittings. Located at first to suit the east-west trade in woollens, it became isolated when the turnpike used the north-south valley to handle the rising cotton trade, and it remains a monument. 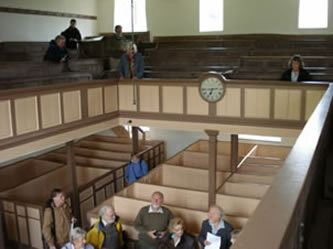 Non-conformity flourished in the early industrial period: the chapel holding 350: the minister with his high pulpit viewpoint dwelling at length on strict Biblical interpretation. Baptism was by total immersion - in local mill lodges, their reservoirs; burial for many here under the family pew. Invention featured strongly in the development of the textile and especially the cotton industry. This brought about major social changes and the growth of national wealth and Empire. Initially domestic, often part-time, textile activities, the successive inventions by Hargreaves, Arkwright, Kay, Crompton and others meant that the spinning and weaving processes leap-frogged one another, bringing imbalance in capacity. It became uneconomic for raw materials and finished products to be distributed to and collected from workers’ homes. The scale of the processes grew; the machines had to be kept running, with production and labour for both spinning and weaving concentrated in towns in the valley bottom. The Weavers’ Cottage we visited in Rawtenstall showed us how up to 10 weavers would come together in the town to produce the cloth. An early Spinnng Jenny was demonstrated and hand looms displayed to illustrate the technology in use in the late 18th century. We were so fortunate in both visits to have local expert Kathy Fishwick with her fund of anecdotes, and in the Cottage her son, whose enthusiasm in demonstration knew no bounds. The collapse and death of the British cotton industry in the middle of the 20th century is well documented and our final visit, to Shaw Clough, an example of its graveyard, brought home the stark decline. The brook running through the valley once brought power to 23 mills in the course of its 2-mile passage, the first a dye works whose water quality requirements meant that it had to be located at the head of the clough. The mills downstream with their different processes had to make do with the effluent from the higher ones above. Today just two stacks remain from the 23 mills, tombstones to a bygone era.